It's less than a month before Christmas, and it's a great reason to be excited for a lot of things the holiday season brings. Of course, the top of mind is GOOD FOOD! We only want the best for this special occasion, good thing Italianni's has made it easier for foodies out there who love to savor delicious and authentic Italian cuisine in the metro. 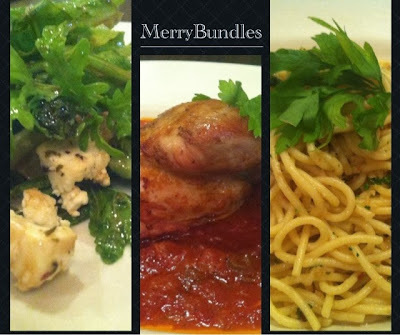 I was able to sample these dishes a few days ago and I must say, they're perfect for Noche Buena. I personally love the veggie salad, Insalata Rucola which has the right amount of sweet, sour and salty ensemble; and the Roasted Chicken on Provencal Sauce, boy, the sauce makes all difference, so divine. Simply yummy. 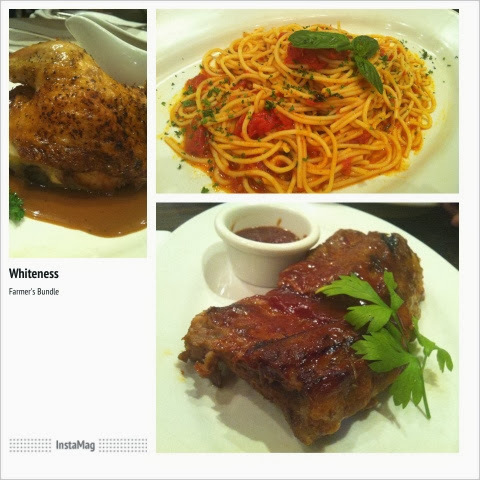 It was also my first time to dine at Italianni's, and I have to agree that the place exudes a warm and homey atmosphere as you enjoy mouth-watering Italian fare for an unforgettable dining experience. i like the Farmer's Bundle, is it still available now that the Yuletide is over? I loved these foods of Italiannis especially the herb roasted spring chicken. It tasted differently from other food establishment. Great bundles! Holy cow! That combo is worth it. Just looking at those food makes me hungry. Those baby back ribs left me drooling! I am not a big fan of chicken (I don't eat them). Do they have Italianni's here in Metro Manila? I'd go for the farmer's bundle. Love love love baby back ribs! Those foodies looks so good. I miss Davao. What a price to pay to munch all the goodies :) You make me drool Sis especially that I am starving too. Can I have those chicken please? Oh boy. Carbs overload but I can't help it... I'm craving!